Lipedema Stage 1: What Are The Signs? Have you ever heard of lipedema? Lipedema is a chronic disorder that is often mistaken for obesity. 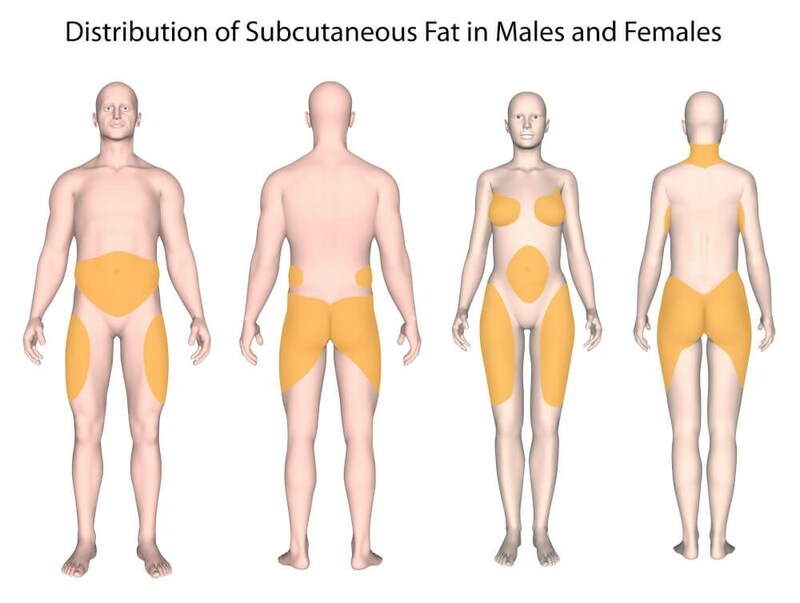 It occurs when fat is irregularly distributed throughout the body. The result is an abnormal buildup of fat that is most common in the area of the legs, thighs, and buttocks. While the disorder may affect up to 11% of women, scientists are still unsure as to what exactly causes this disorder. If you feel that you may be suffering from lipedema, you're going to want to ensure you read this. There are steps patients can take to manage their lipedema and make living with this disorder more bearable. We're uncovering the signs and symptoms of lipedema stage 1 and outlining different treatment options. Lipedema is a condition in which excessive fat builds up in the lower portion of the body. Although the first case of lipedema was identified in American in 1940, there are still many unknowns with the disorder. Lipedema takes place when fat is irregularly distributed beneath the skin -usually in the thighs, buttocks, and legs. From here, these body parts become unnaturally enlarged. As a result, the natural appearance of the lower body is lost and the excessive fat produces a column-like appearance. Patients with lipedema have often been misdiagnosed with obesity. In many cases, these patients have undergone gastric bypass surgery with no success. Instead, patients with lipedema may consider the possibility of cosmetic surgery. These surgeries can help to correct the appearance and minimize pain. It's important to note that lipedema differs from obesity in that it targets specific body parts. While obesity primarily targets the core, lipedema targets the lower body. Unfortunately, lipedema is not an easy disorder to live with. It often gets worse with time and can even spread to other parts of the body. While there has been little research conducted on lipedema, there are several treatment options to help manage it. What Are the Symptoms of Lipedema? Of course, symptoms for lipedema do vary depending on the stage of the disorder and the patient. However, most symptoms begin to present themselves during times of hormonal changes. Because the disorder affects mainly women, this is usually around the stages of puberty, pregnancy or menopause. In general, the most common symptoms for lipedema are an excessively large lower half of the body. In most patients, this affects the thighs, buttocks, and legs. The result is legs that take on a large and sturdy column-like appearance. This means that patients can be a size 6 on their top half and a size 24 on their bottom half. However, as the disorder progresses, it can also begin to affect other parts of the body such as the arms and hips. Of course, the severity of the disorder ranges from patient to patient. Patients suffering from lipedema will also notice that their skin feels rubbery and is prone to bruising. With this, the skin may be painful or hypersensitive to touch or movement. What Are the Causes of Lipedema? Unfortunately, doctors and scientists are still unsure as to the exact cause of lipedema. It's clear that there is still plenty of research that needs to be conducted to better understand lipedema in general. However, scientists do feel confident in that there is a hormonal component to the disorder. Again, this is due to the fact that it almost exclusively targets women during hormonal changes. Scientists also believe that genetics are involved. Many patients suffering from lipedema have had family members that have also suffered to some extent. It is also worth noting that many patients with lipedema are reported to be suffering from excess weight initially. However, there have been cases in which the patient was initially a healthy body weight. What Are the Treatment Options for Lipedema? Unfortunately, even regular exercise and a healthy diet will not entirely fix lipedema. However, it is important for those suffering from lipedema to maintain a healthy lifestyle. When forgoing proper diet and exercise, the fatty tissue will continue to swell and the severity of the lipedema will worsen. Most individuals suffering from lipedema will have to turn to other forms of therapy. Medication, gentle massage, and compression garments help to manage the pain of lipedema. However, many patients turn to cosmetic surgery to treat their lipedema physically as well as to manage the pain. Lymphatic sparing liposuction is the main cosmetic surgery used to treat lipedema patients. With this surgery, the surgeon will release the pressure and congestion of the fat. From here, the surgeon will debunk the excess fat. If you're living with lipedema, be sure to arrange a consultation with a cosmetic surgeon. From here, you can discuss all of the different treatment options and decide which one is right for you. Lipedema is an extremely unpleasant illness to have to live with. Not only is it a major cosmetic concern, it's also painful and can eventually result in other health-related issues. When it comes to dealing with lipedema stage 1, it's vital to separate the myths from the facts. From here, you can better understand the illness and how to best treat it. Lipedema is a terrible and frustrating disease. But it doesn't mean that you have to live with it forever. Rest assured that cosmetic treatments can help to treat your lipedema and lead you on the road to recovery. For more information on your treatment options, feel free to contact our office today!